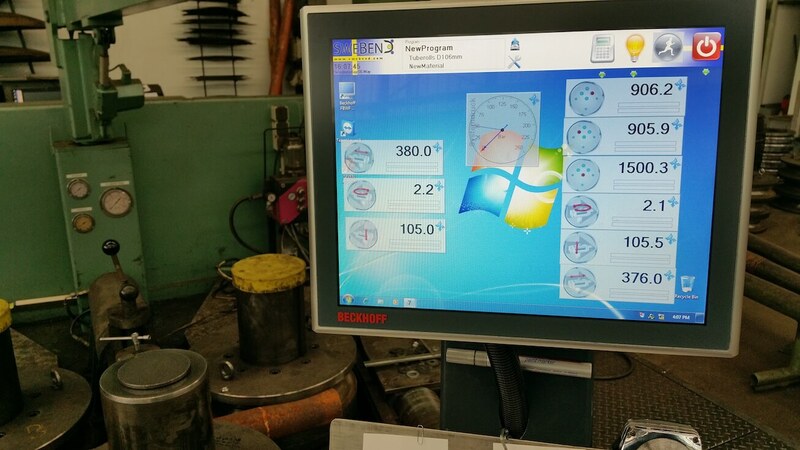 Upgrade to the latest CNC Software! 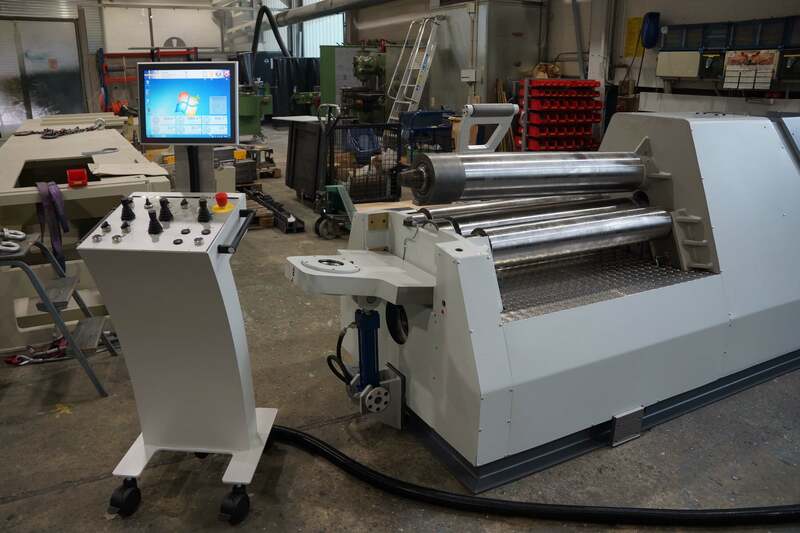 Upgrading your Bending Roll with the latest CNC technology! No two bending applications are the same. Many factors including material size, mechanical properties, spring-back, etc can influence the bending requirements necessary to get an acceptable result. 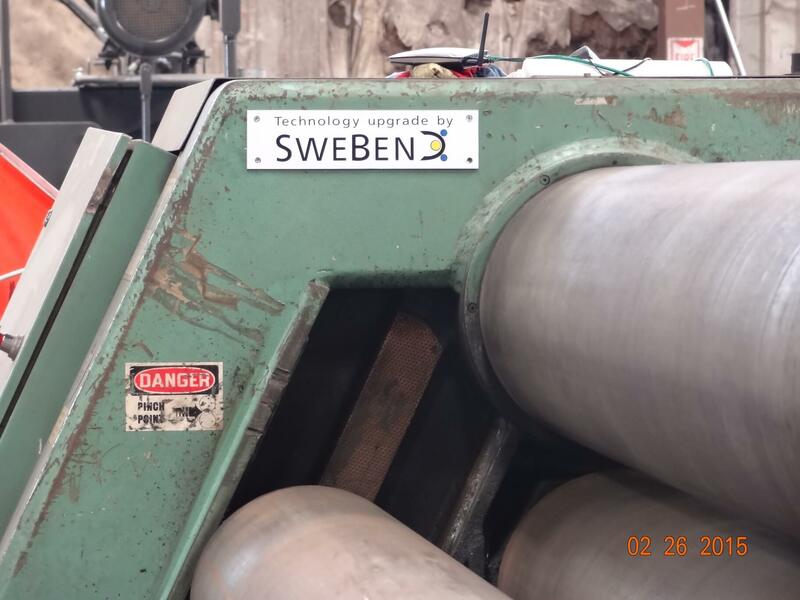 With the SweBend “Seven” CNC Control we can help take the guess work out of your rolling operations. The powerful operating environment can easily accommodate for minor variations that are commonly found in all materials, which gives you the ultimate control over all rolling processes. We can vary the number of CNC Controlled axes to match your personalized bending requirements. The Seven-Bronze package includes all you need to control your bending machine. 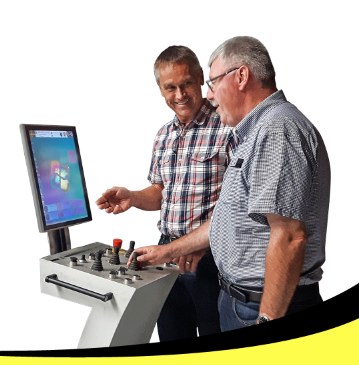 Hardware platform (PC, I/O modules) from Beckhoff 15” TFT touch screen for operator HMI mounted on a wheeled control panel with joysticks, switches and buttons. 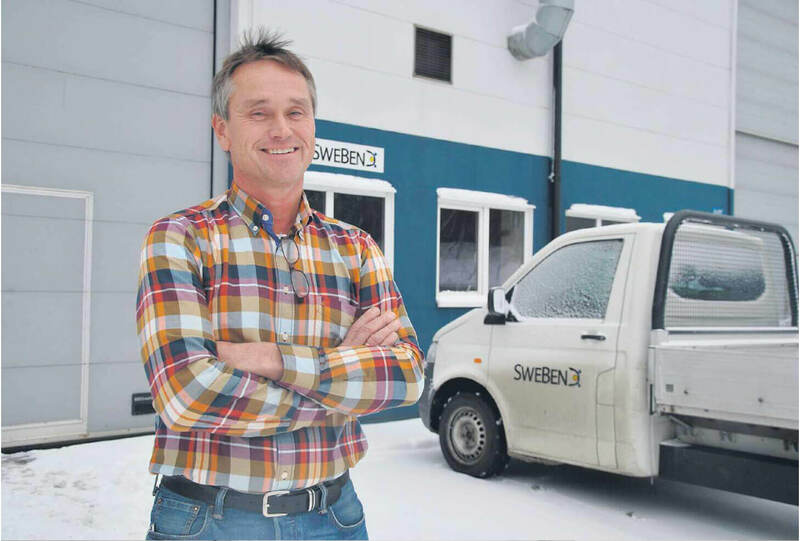 The SweBend CNC ”Seven-Bronze” with state-of-the-art user-friendly HMI is designed for basic machines, including the ability to control the position of the side bending rolls and rotation. Interpolation, which is the possibility to move of one side roll and rotation simultaneously is also included. Control of the hydraulic drop end and the pinch/release is also included in this package. In total 3 axes (Left + Right + Rotation) are standard configuration with possibility to add optional axes as listed in the upgraded packages below. The Seven-Silver package includes everything as “Seven-Bronze”, but also including positioning & pressure control of the lower roll. In total 7 axes are controllable with the standard configuration. This upgrade also includes advanced CNC functionality such as the possibility to import and export programs, allowing programs to be created for instance in the office and then exported to the machine. You also step up to a huge 19” TFT touch screen for the operator HMI. The Seven-Gold upgrade is our most sophisticated software available! With all the same features as the “Seven-Silver”, plus the added capability to control all possible optional equipment to virtually any type of bending machine on the market. In this version all of the current CNC functionality is available. Advanced wizards and low-level controls gives you total freedom to create highly sophisticated programs, still using the same easy to use genius icon based user interface.